An island full of music, for decades the delight of many ears and hips worldwide – that's Cuba! But do you know really what is happening there now in this historic time? Would you like to meet the local players in live music, recording and education? Discover new talents and find out the opportunities for foreign artists in Cuba? Get an professional inside view behind the stage curtains? We have a solution for you: Primera Linea! 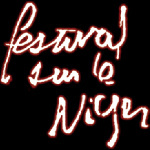 Take a look at the programme at their website. An international music conference and festival to explore Havana and its music and to meet the players. The event will be centred around conferences, workshops, showcases and dedicated networking opportunities to meet Cuban music operators and artists. It will be organised and produced to high international standards. 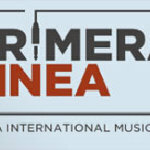 Furthermore, there will be music-related trips for international delegates and an opportunity to enjoy more of the great Cuban cultural life, as Primera Linea will take place parallel to the renowned Habanarte Festival.